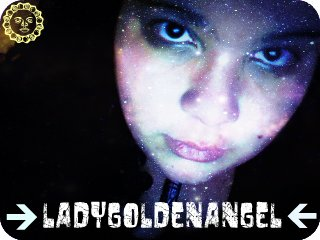 Who is Ladygoldenangel as a Mystic? I am more of a seer, feeler and audio, so i hear feel and see things through raw intuition more than anything else. I like to use tools such as tarot, or oracle cards and here and there a pendulum but other than that im pretty much a natural born!! ❖ Healing: I am not a physician I work with the light to heal,a lightworker basically. I can send energies and realign alot in your body spirituail and physically.Though I must stress that I do not prescribe medcine or perform any of the duties of a pyshician. I am studying herbal medicine, reiki and such through Angels and others still. I am not afraid to admit I learn from others outside my naturally given gifts and info for my path as a healer and spiritual advisor. So until I am liscenced I only work with the light to heal mind, body and spirit.